Dine luxuriously in the Summer Capital of the Philippines with the personal service of the chefs at the teppanyaki table. Visitors to the Baguio Country Club can enjoy the amenities with a simple endorsement from a member. 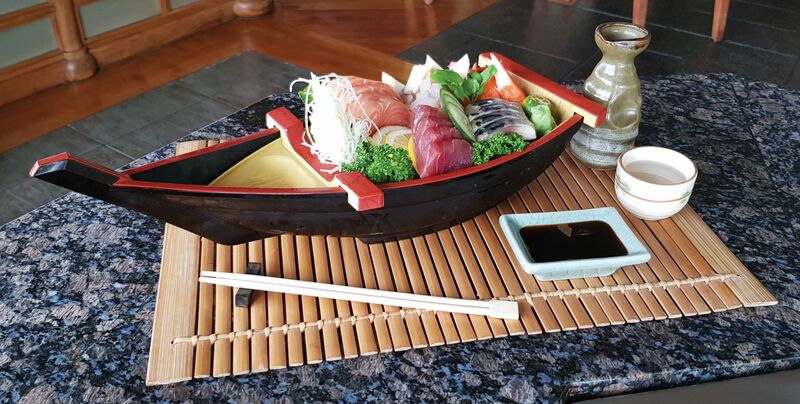 • The special sushi boat is just as delicious as it is Instagramworthy. Even before food photography was a thing, this signature dish won over many a patron with the vibrant colours of fresh, quality seafood on its "ship." • The classic ebi tempura udon is sure to warm the colder nights, as you watch the fire play of the chefs serving up the US Angus rib-eye, teppanyaki style. • The green tea ice cream sates the palate after a fiery meal.